Drug addictions are very hard to overcome. The chemicals in the drugs wreak havoc on the brain and can destroy everything a person is, both physically and emotionally. Many times, drug addicts do not believe they have a problem. They might say they have everything under control, or are in denial about just how bad the problem is. It is important for those close to a drug addict to identify the signs that their loved one might have a problem with drugs. One of the most common signs is lying. So much so that many believe that it is a sign of abuse. But why is lying such a big part of an addict’s life? Even when the truth is known to all parties involved, they will lie. There are reasons for the lies. Addicts lie to avoid confrontation. While it might not seem so, drug addicts do not like confrontation – especially when it has to deal with their personal habits. Their addictive ways are a way to cope with whatever circumstances they are dealing with. When speaking to an addict, try to keep the conversation geared toward your own personal beliefs rather than pointing the finger at the addict. Addicts lie to cover up addiction. While it might seem like and addict is not ashamed of their abusive nature, they are. Not all addicts turn to a life of crime, but many do because of their addiction. They might be ashamed of what they have done to keep up their habits, or they might realize that their behaviors are hurting themselves and the others around them. It might not be anything personal toward you, so when speaking to an addict do not take their lies personally. They lie to avoid having to change. Whether or not the behaviors are hurting the addict and their surrounding peers, they are not in the correct mindset to make a change for their betterment. They would rather lie than face the facts that they are harming people so they don’t have to alter their coping mechanisms. They will even continue to use drugs no matter what kind of unpleasantries happen because of them. Rather than trying to talk them into changing their behaviors, it is always better to allow them to make up their own minds about it. Ultimately it is a drug addicts choice to use and their choice to change. They lie to avoid negativity. Addicts truly believe things will work themselves out and they won’t need the addiction anymore after a time. Their behaviors are a pattern they believe they can get out of if they just hold on a little longer. Try to identify what positive things will happen if things change. They believe they are getting away with lying. 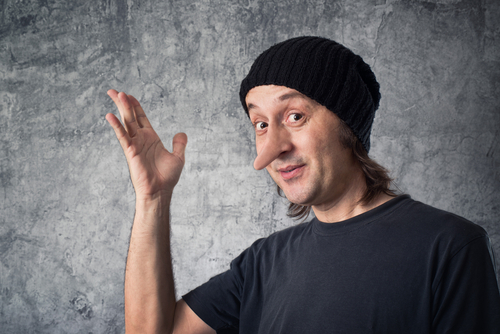 Often addicts will keep lying because lying has worked for them in the past. They have either successfully convinced the person that their lies are fact, or the person has let the issue drop – which does the same as convincing in the addict’s mind. Do not allow an addict to get away with lying, it will only encourage them to keep doing it in the future. Avoid talking about the subject completely or state what you know happened rather than asking questions and going along with the lies. They don’t know what people want. However you feel about your loved one going out and doing drugs is how they need to know. Many people avoid telling their friend about how they don’t like the drinking or drug use because they don’t want to fall on the person’s “cool person radar”. Keeping this from them does more harm than good. Tell them how you feel about their habits. They are afraid to live without the addiction. Addiction runs deep with addicts. They feel they need the drugs for one reason or another. Life without the addiction might be terrifying for them. To overcome this, they need support from you. Remind them that you are there for them, and really be there for them. They lie because they are ashamed. Addicts might know very well that their behaviors are wrong, but it’s easier to lie than admit you’re wrong sometimes. To combat this, mention other areas of their lives that have nothing to do with their addiction. This can build the addict’s pride in themselves to help them overcome their shame.